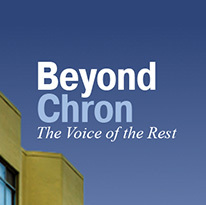 Launched in 2004, Beyond Chron is a Tenderloin Housing Clinic publication which provides coverage of political and cultural issues often distorted or ignored by other media. For over a decade, Beyond Chron has provided a resource for progressives to access information, countered mainstream media distortions, and built support for progressive campaigns. Read the latest news on the Beyond Chron website.